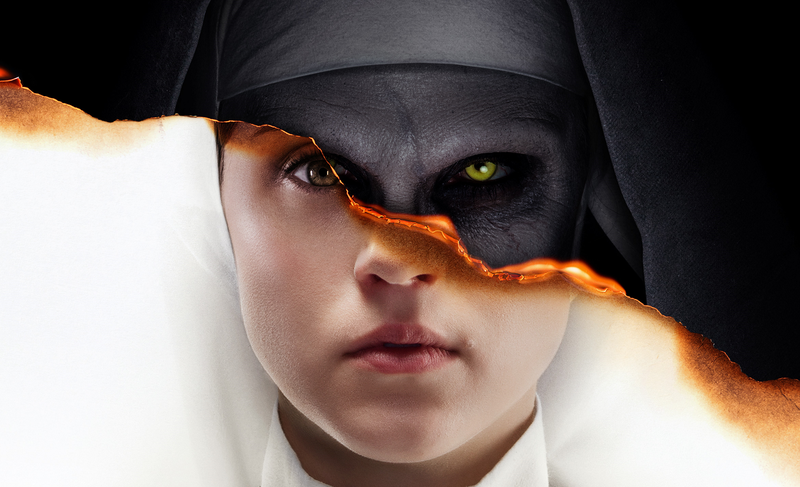 A YouTube ad for Corin Hardy’s The Nun has been pulled from the site for simply being too shocking. That might be a first for a horror film on the site. It’s not the actual trailer for The Nun that got pulled, but an advertisement that is played before certain videos that got the ax. An ad that you can’t skip before five or so seconds so you have no choice but to watch a little bit of it. And understandably so, the shock factor of it was noted and taken down by the YouTube police. All in all, this makes for some excellent press. Confused as to how exactly the ad got YouTube all riled up? Watch it below. It’s pretty hard to argue with this logic – it’s absolutely horrifying. Yet the banning of this trailer will more than likely do more good for The Nun, so maybe it’s best to not go crying foul after all. However, a number of users still reported seeing the ad, so it may take some time for this change to take effect. You may still get lucky enough to see it! The Nun will be released in theaters next month on September 7th. In anticipation, here’s a story about director Corin Hardy reportedly seeing some ghosts on the set of the movie! Speaking of YouTube jumpscare ads, does anybody remember this classic? Warning: if you don’t want to have an accident, you may want to turn your volume down.